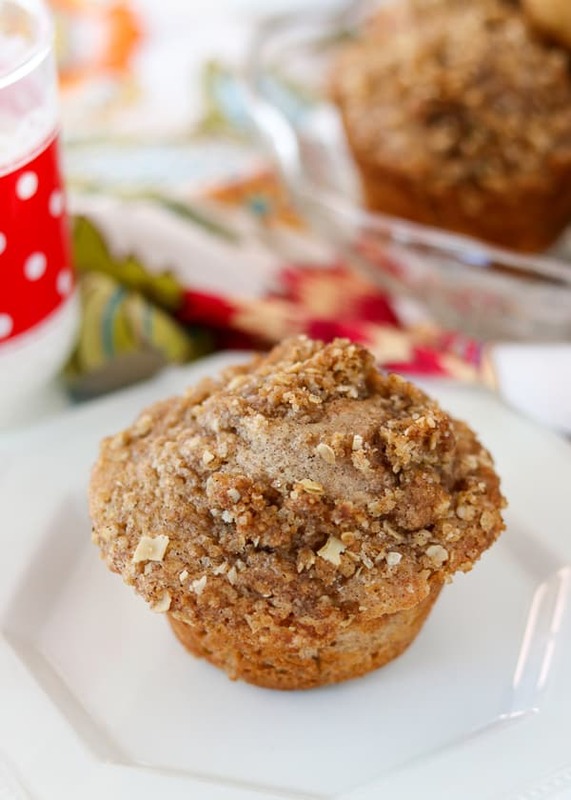 These Apple Streusel Muffins are definitely something you’re going to want on your breakfast table all year long. 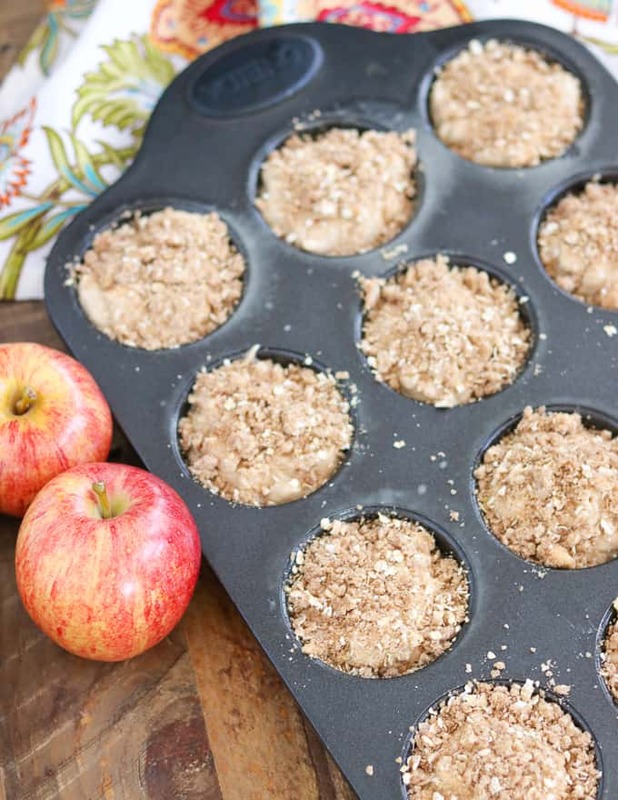 Made with chopped apples, nutmeg, cinnamon and Shamrock Farms Organic Milk, and covered in a sugary oat topping, they make a delicious afternoon treat with a cup of coffee. You might just want more than one! Muffins have always made me feel all warm and fuzzy. When I was young, I remember going to our local donut shop, and in addition to ordering my favorite lemon-filled donut, I’d order an apple cinnamon muffin. They were the best! They were filled with bits of apple, loaded with cinnamon and were so light and fluffy. 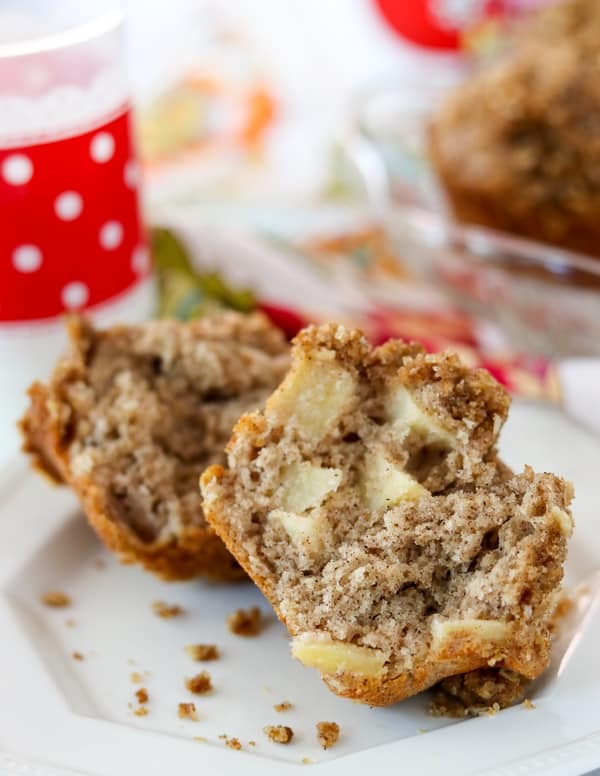 SAVE THESE APPLE STREUSEL MUFFINS TO YOUR FAVORITE PINTEREST BOARD! This recipe is over the top delicious, and will quickly become a family favorite in my house and in yours. I bet they’ll be a staple on your breakfast table for many years to come! I am honored to be partnering with Shamrock Farms as they celebrate 96 years of nourishing Arizona families with their pure, fresh and nutritious milk that contains NO growth hormones. September is Hunger Action Month, and in conjunction with the Arizona Diamondbacks and Fry’s Food Stores, Shamrock Farms is proud to be a supporter of Grand Slam Give Back! On Monday, September 3rd, you can purchase outfield reserve seats for just $9.60! For every ticket purchased, Shamrock Farms is donating a serving of milk to St. Mary’s Food Bank Alliance as part of its season-long promise to donate 96,000 servings of pure fresh milk to families in need. Also, the Arizona Diamondbacks are also contributing $2 to St. Mary’s for every ticket sold. 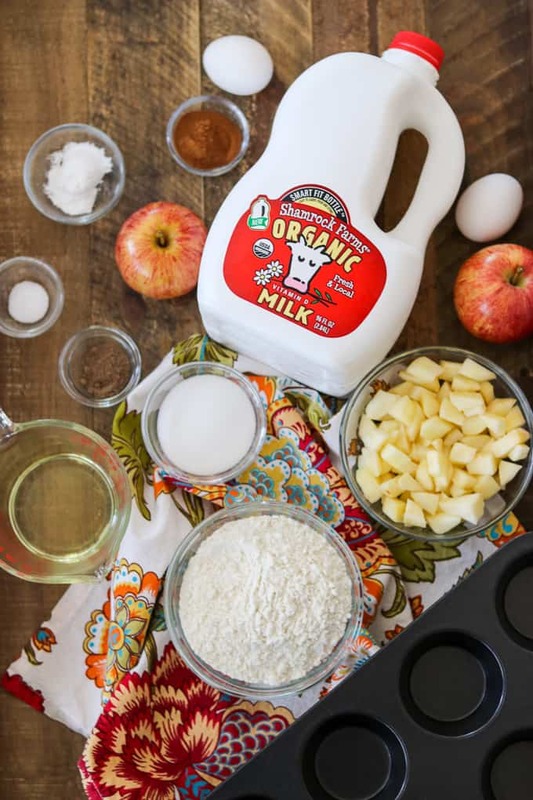 Head to your local Fry’s to purchase your Shamrock Farms Organic Milk so you can make my Apple Streusel Muffins. Then have some fun with your family on Labor day at the Arizona Diamondbacks game! Go here to purchase your Arizona Diamondbacks tickets for the Monday, September 3rd game for only $9.60! It’s a win-win for everyone! You can spend some great time with the family at a baseball game for a discount, Shamrock Farms will be donating milk to a family in need, and the Arizona Diamondbacks are donating an additional $2 to St. Mary’s. I can’t think of a more fun and better way to help families in need. 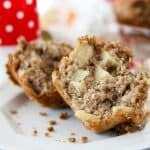 While perusing the interweb for more great apple recipes in addition to my Apple Streusel Muffins, I came across some keepers! This Cinnamon Apple Pie Bread from Ashley’s Wishes & Dishes must smell absolutely incredible when it’s baking! I can’t wait to make it! And who doesn’t love a good apple crisp? This one from Christi at Love From the Oven is sure to bring a lot of smiles to a lot of faces. Top it with a scoop of vanilla ice cream, and they’ll love you forever! If you’re a gardener, you’ve probably got an abundant supply of zucchini this time of year, am I right? Satisfy your love of apples and use up some of that zucchini in this Carrot Apple Zucchini Bread from Trish at Mom on Timeout! I used Pink Lady apples. I originally made the recipe with Gala apples, but didn’t like the taste. They were too blah. I was very happy I made the switch! Coarsely chop your apples. I chopped the apples into small pieces, but later made them bigger and was happier with that result as well. Bigger is better, I suppose. 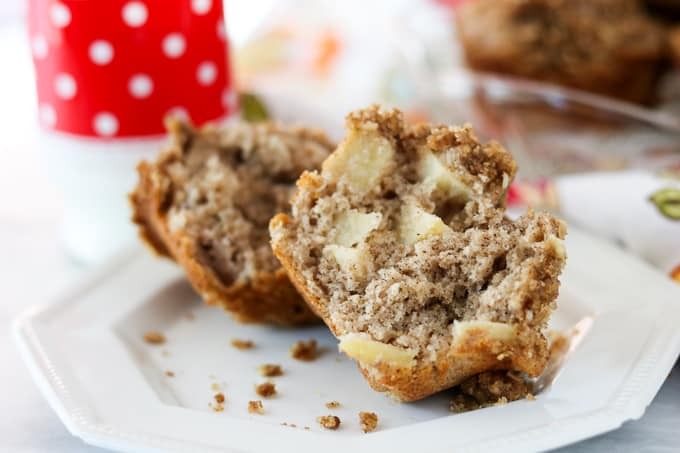 These Apple Streusel Muffins are full of chopped apples, nutmeg, and cinnamon and covered in a sugary oat topping. You might not be able to eat just one! In a medium bowl, put the brown sugar, oats, flour, raw sugar, cinnamon, nutmeg, cloves and salt. 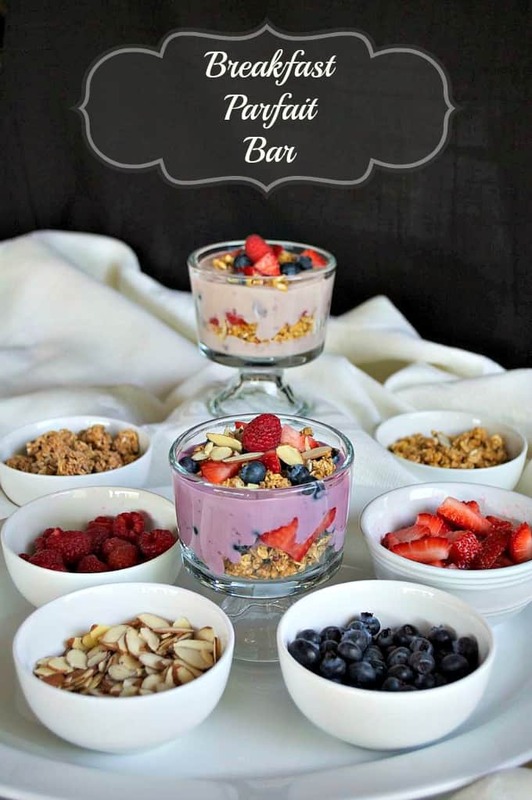 Mix together with a fork. Using a pastry cutter or two knives, cut the chilled butter into the streusel mixture until it resembles coarse meal. Set aside. In a large bowl, whisk together the flour (saving the two reserved teaspoons), sugar, baking powder, cinnamon, nutmeg, and salt. 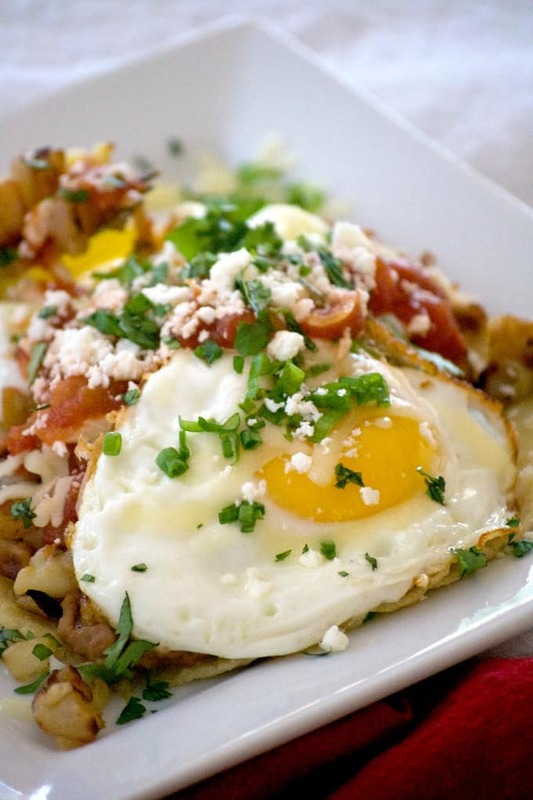 In a medium bowl, lightly beat the eggs. Add the Shamrock Farms Organic Milk and the canola oil, and mix well. In another medium bowl, place the two teaspoons of reserved flour, sugar and cinnamon. Add the apples and toss until all pieces are coated. Add the wet ingredients all at once, as well as the chopped apples to the dry ingredients. With a rubber spatula, mix until just combined. It is ok if there is still some flour showing. 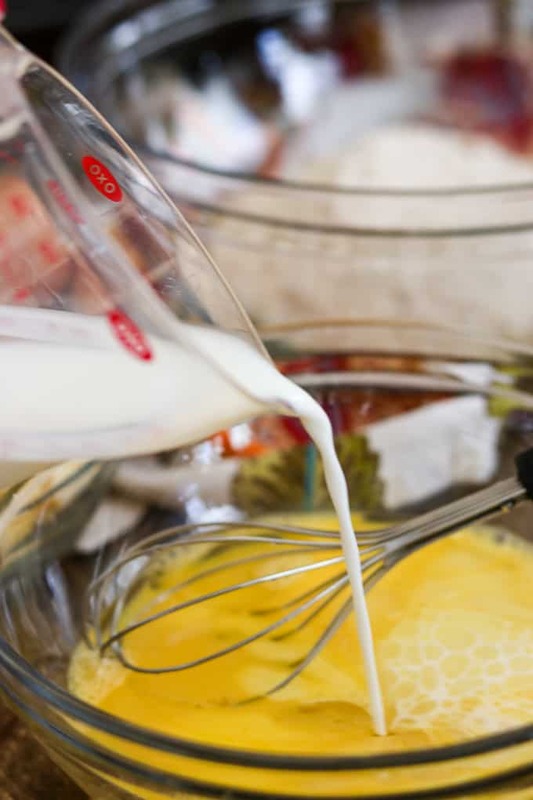 You do not want to overmix the batter. Prepare a 12-cup muffin tin by spraying it generously with cooking spray, a floured baking spray or use muffin liners. 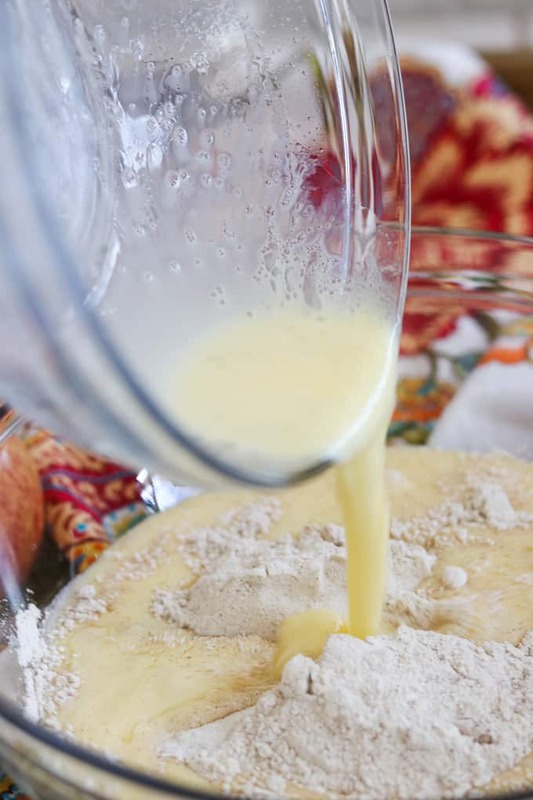 Divide the batter between the 12 cups. 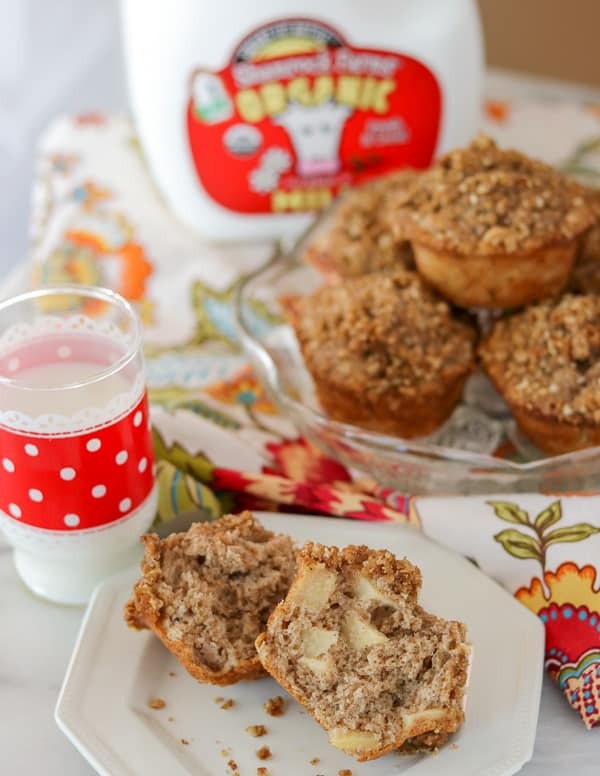 Evenly sprinkle the streusel topping over the 12 muffins. 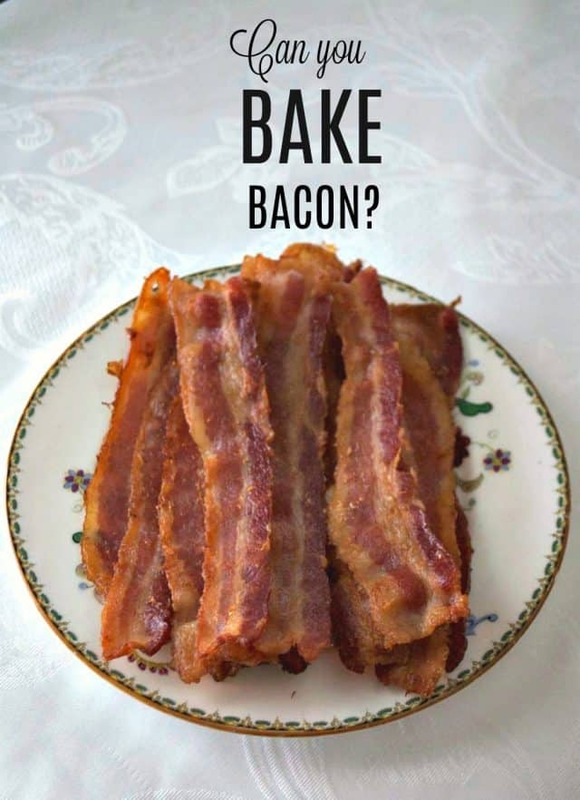 Bake for 5 minutes at 450°, then lower oven temperature to 400°. Bake for an additional 8-10 minutes or until a toothpick inserted in the middle of each muffin comes out clean. Allow muffins to cool in the pan on a wire rack for about 5-10 minutes before gently running a knife around the edges to remove. For this recipe, you just want ONE and A HALF cups of flour, NOT 1 1/2 cups PLUS two additional teaspoons for the apples. After you've measured the one and a half cups into a bowl, just place two teaspoons into a second bowl to toss with the apples.